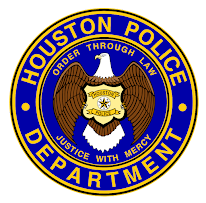 Houston Police Chief Charles A. McClelland, Jr. recognized and promoted five HPD officers in a ceremony at HPD Headquarters on June 25th. 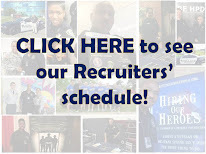 “One of the great things about the Houston Police Department is its capacity to promote qualified individuals," Chief McClelland told the promotees. "And anyone that has been promoted can tell you it doesn’t get any easier. For those of you being promoted for the first time, I want you to understand what you just signed up for. It’s not an easier job or assignment, it is a position of more responsibility, more accountability," the Chief said. Sergeant R. Terry was promoted to the rank of Lieutenant and Officers J. Ramos, G. Dickerson, G. Jimerson, III, and J. Landrum were promoted to the rank of Sergeant. Chief McClelland also offered the promotees sound advice. “Get to know your squads, your shifts, your group, and the people you are responsible to and the people you report to. You should know your personnel. You should know their weaknesses, you should get to know their strengths and supervise accordingly. Remember, treat all of those you report to and those who report to you with dignity and respect. Because there is one thing that we all believe in: It is a challenge coin we have in our pocket with the core values of this organization – honesty, integrity and respect,” urged Chief McClelland. **Thank you to Fox 26 for this story.